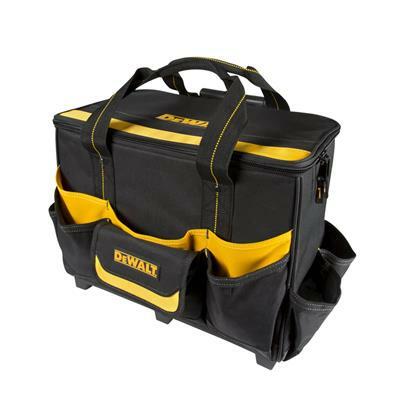 DEWALT DGL571 17 in. 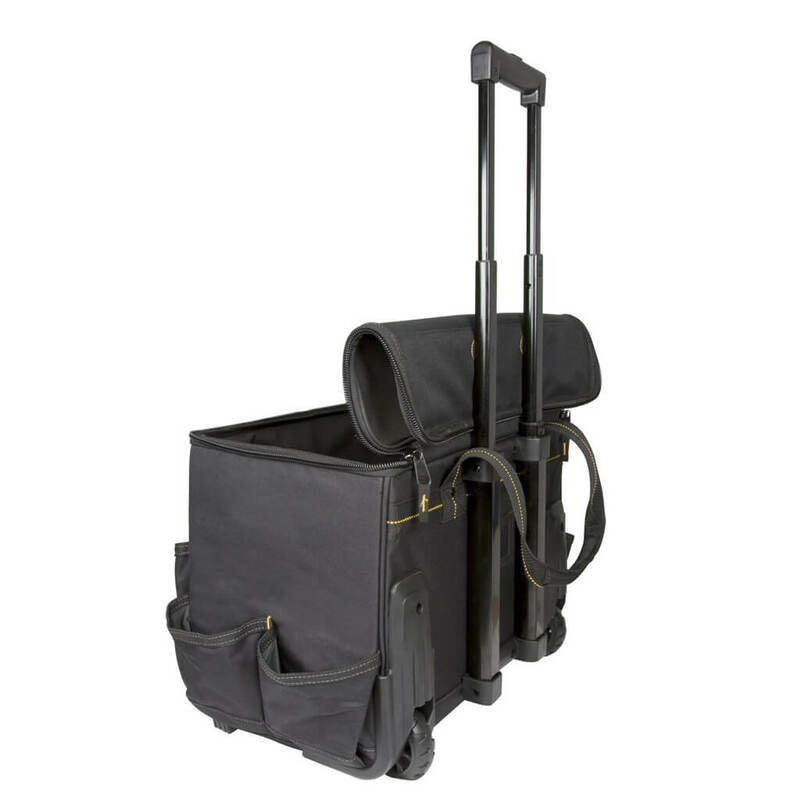 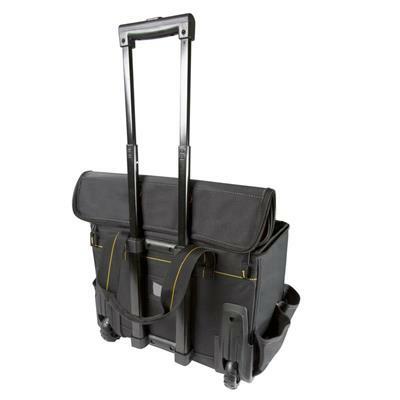 Roller Tool Bag has large, sturdy telescoping handle that extends for fast transport of heavy loads and heavy-duty treaded wheels for easy bag movement over rough terrain. 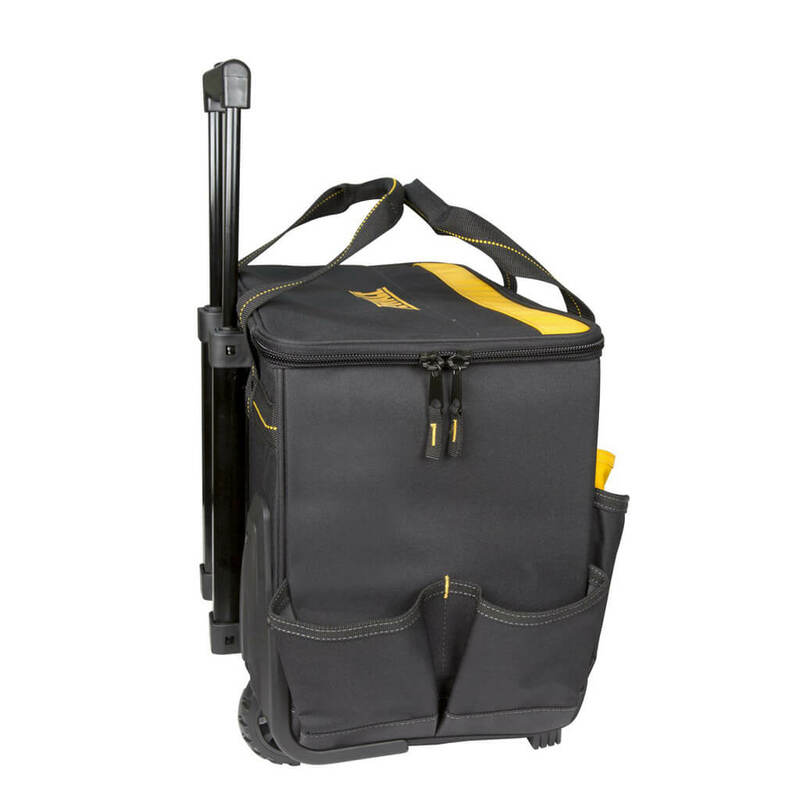 The magnetic folding zipper top conveniently attaches to telescoping handle for full access to main compartment. 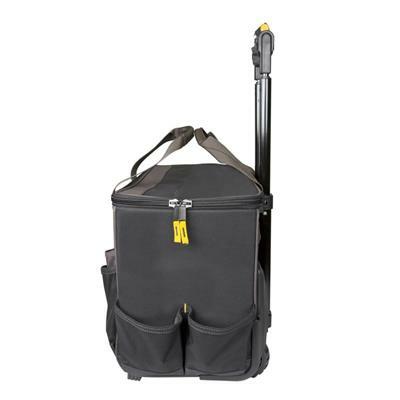 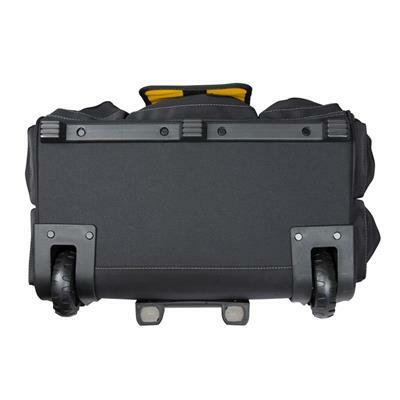 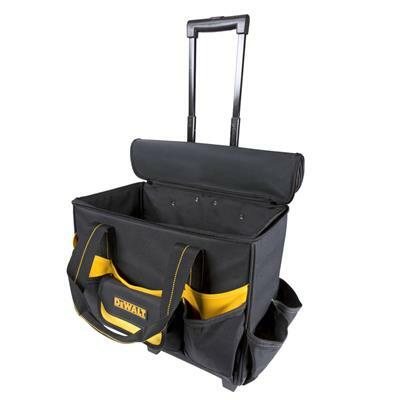 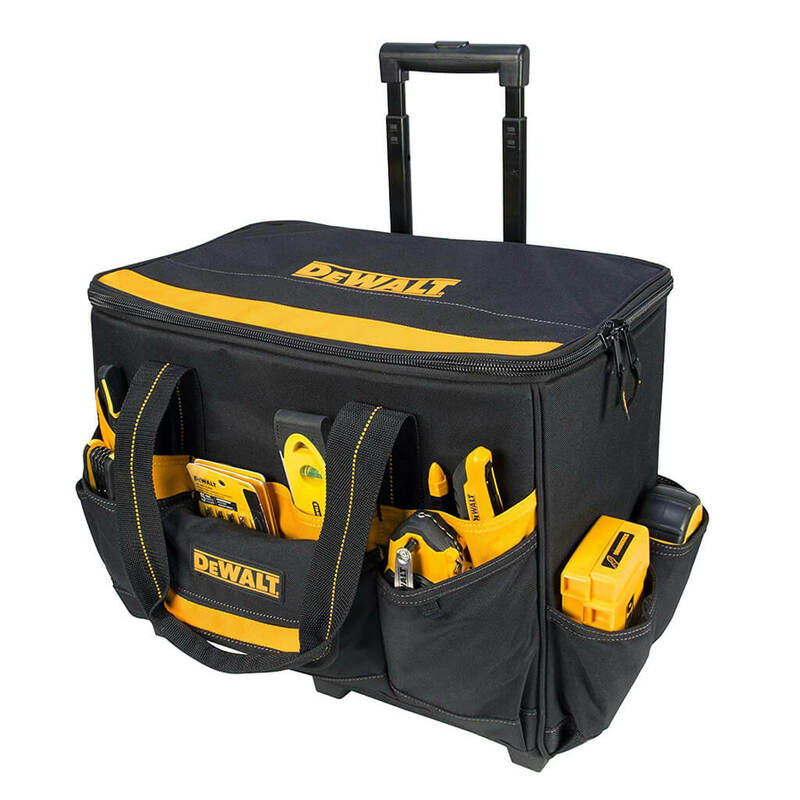 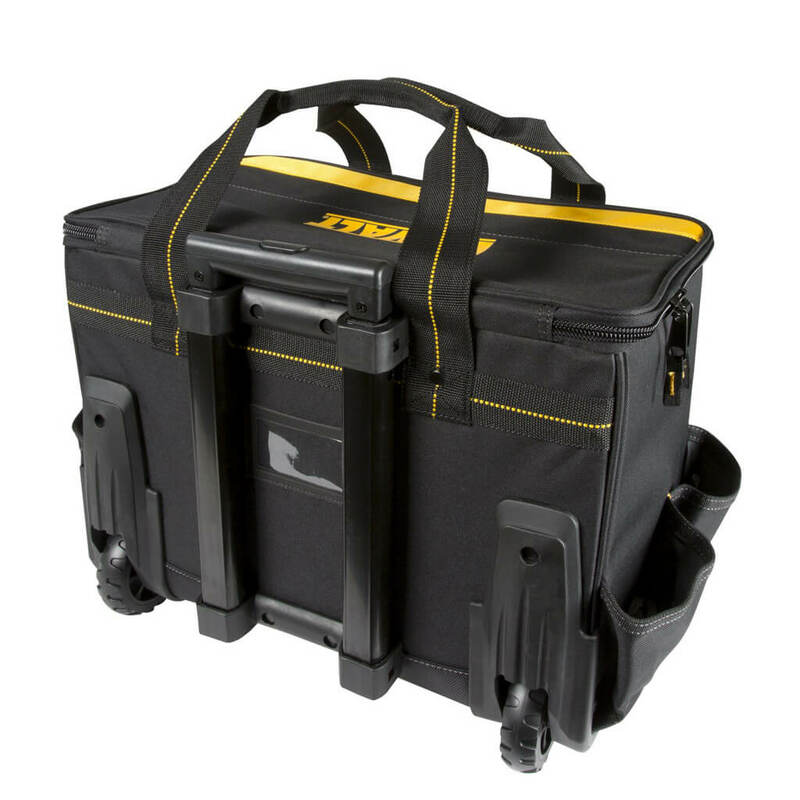 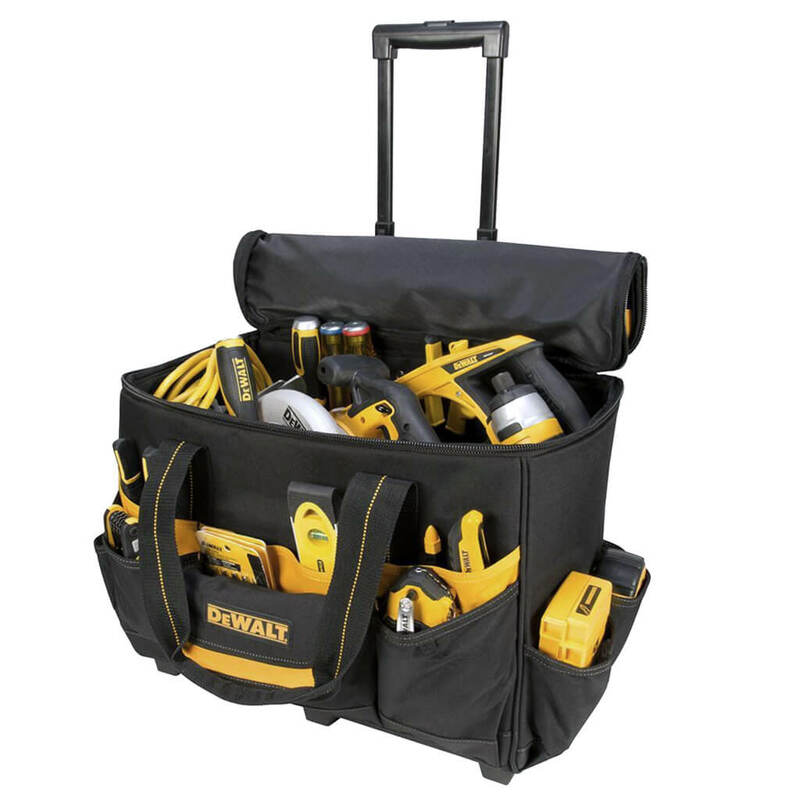 The tool bag has a large interior that holds most large power tools and accessories. 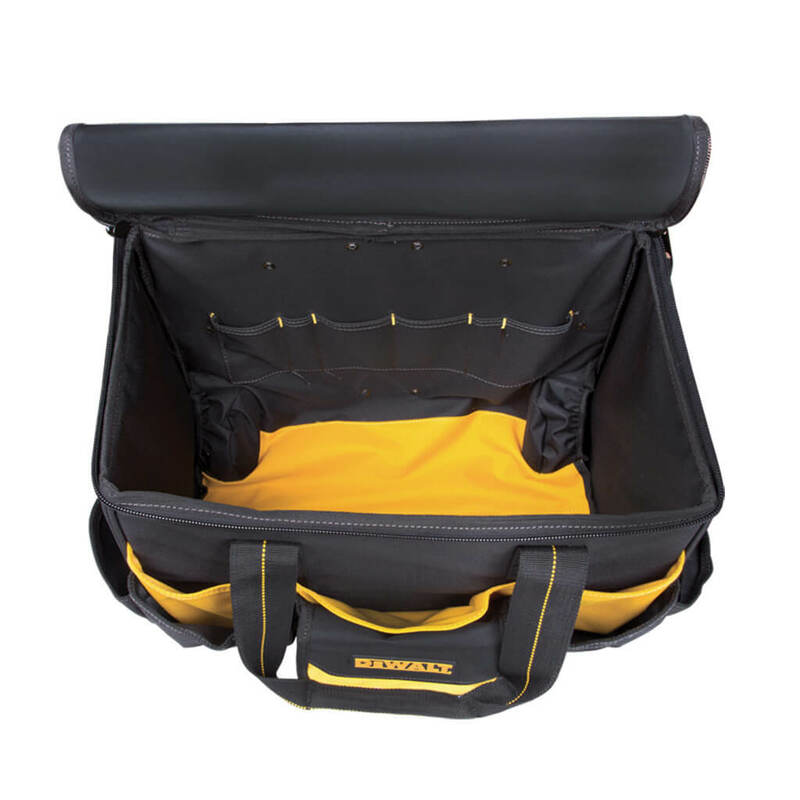 There are 6 Multi-use pockets inside and 11 outside to help organize a wide variety of hand tools padded web carrying handles.